Hello. It’s been almost a week since I posted! Wow. I don’t know why that is. Actually I think I do. Prettty red. It’s actually extremely cloudy out right now so this photo reflects that a lot. I have a feeling by the time I’m done this we should have nice weather again though, so I’m not worried. It’s also because I have had a really busy week! This week in Ottawa has been EXTREMELY weird weather wise. It has been 25 – 30 degrees Celsius every day! IN MARCH! That’s like 86 degrees Fahrenheit I think? In CANADA. March. For comparison, last year it was like a snow blizzard here this week haha. It’s odd. But we aren’t complaining (although it does worry me). First, St. Pattys day was awesome! Chris is a DJ / Promoter and he threw a really fun show on Saturday at a nice little bar we’d never been to before. I had a really good time! Of course I worked the next day, which was much less fun. Then I had more work, and a french class. 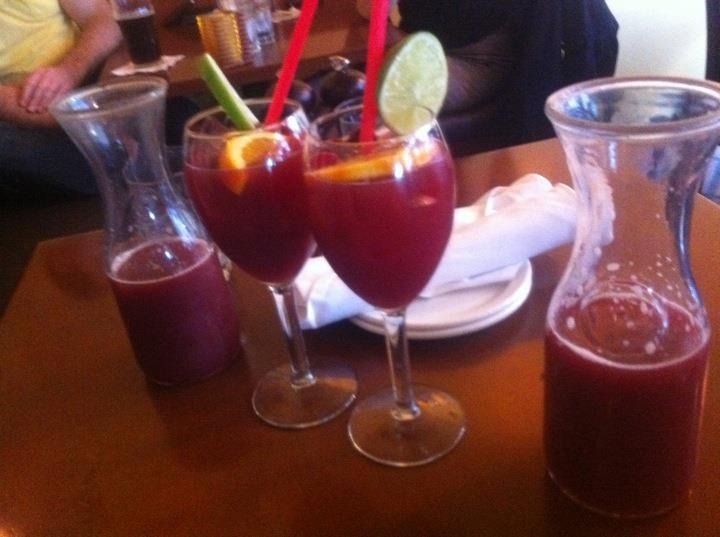 Last night I went out for dinner and sangria with my best friend at the blue cactus. It was delicious! I love sangria. Tonight, I’m so excited, we are going to Montreal! We are going to a show at the Belmont, Andy C is here!!! 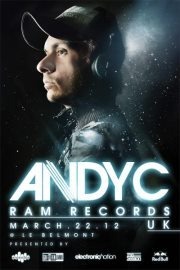 He is an amazing drum and bass DJ, in fact “Winner of the 2011 DRUM n BASS Arena Awards for BEST DJ” which is pretty awesome. I saw him at WEMF(world electronic music festival) last summer and he was SO good. Best DJ all weekend. I love him. LOVE. So to be going out of town, with my bestie, and her other best friend who lives in mtl, for a girly night dancing and partying at an amazing venue to one of my favourite DJ’s…yeah I’m excited. REALLY EXCITED. poor Chris can’t come, but hey, that’s because he works a nice Monday to Friday job. This is my 1 benefit EVER of working weekends, ha! So yeah. That’s Sweet. AND THEN, tomorrow, I’m seeing hunger games! Also very exciting. the trailer gave me chills! I think it’s going to be amazing. When I read the book a couple of years ago, I loved them and ripped right through them so fast. I’m excited for this one, and the next 2 as well! okay okay, ONE last thing…guess what! 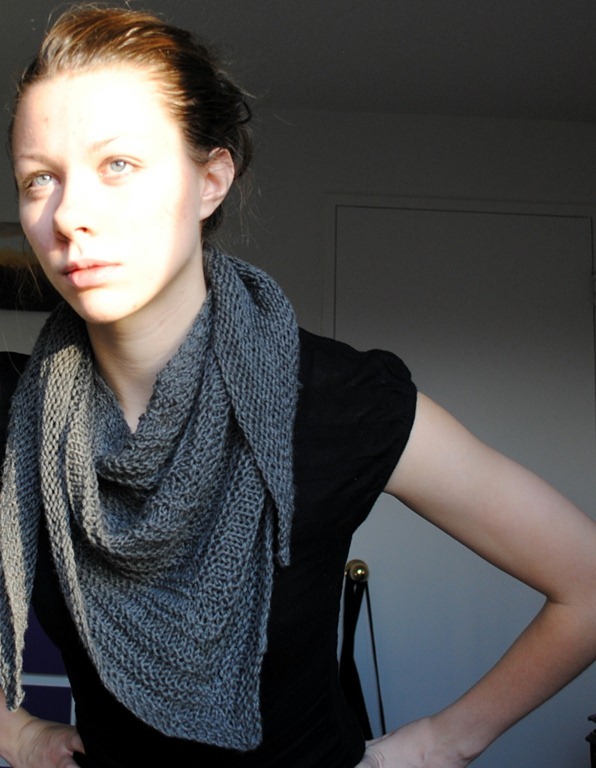 I just bought the gorgeous new colorway “well preserved” from the plucky knitter. LOOK AT THIS LOVELYNESS. I set a timer for noon so I would not miss it. I’m glad because 15 minutes later I checked and they were all gone. Score. owlmazing makes…purchases she shouldn’t have! I am a very bad girl! Yesterday I stumbled upon Jared Flood’s latest lookbook, Wool People Vol. 2. OH MY. First let me just say that I am in love with Jared. So madly in love. He is my idol. I want to BE him. Or marry him. Let him clothe me in his patterns and yarns. Or SOMETHING. Maybe steal his brain? The first pattern I knit of his was the Romney Kerchief. I love it and so do my friends. They think it is gorgeous! Guys and Girls alike want their own. 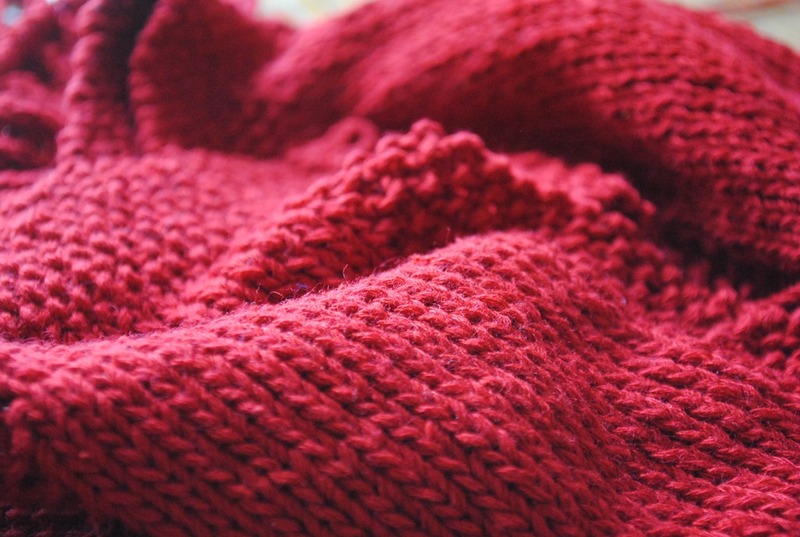 Jared’s pattern was easy to follow and fun to knit. It left me wanting more, more, MOREEEEE! I was bad. Very bad. Or very good. Oh so very wonderful. 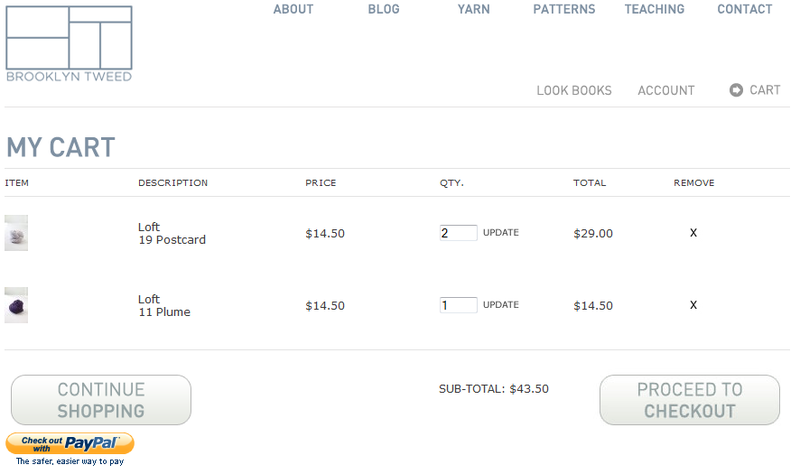 I will have a norby knit from postcard and matching mittens from postcard and plume. Oh it WILL be beautiful. I am so excited to try out LOFT! Let’s just drool over this a liiiiitle more.